Make that 4 – 1x12s @ 19 3/4 instead of just two. 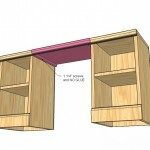 Dimensions shown above. 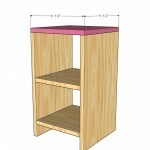 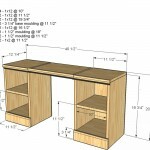 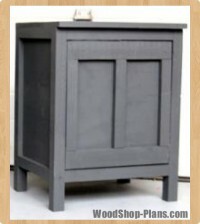 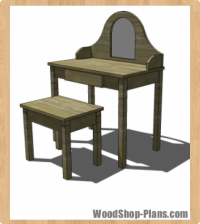 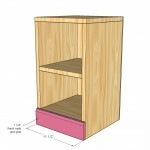 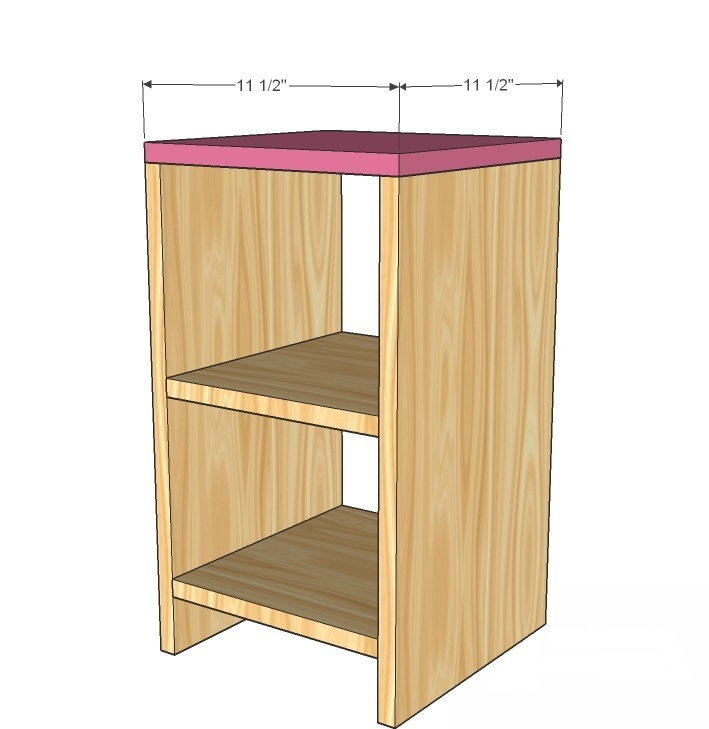 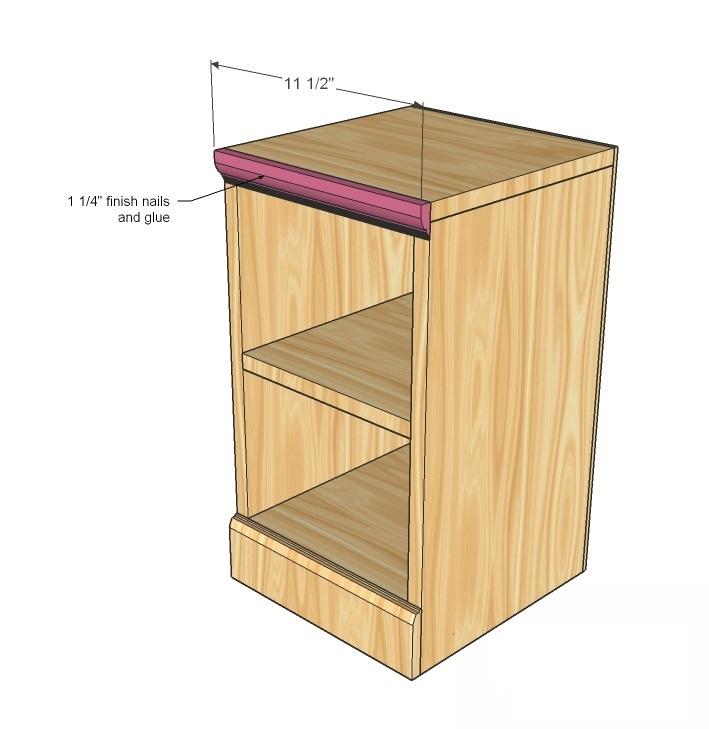 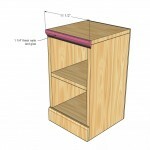 Here are the dimensions for the “nightstands” perfect for a toddler bed or small bedroom or playroom. 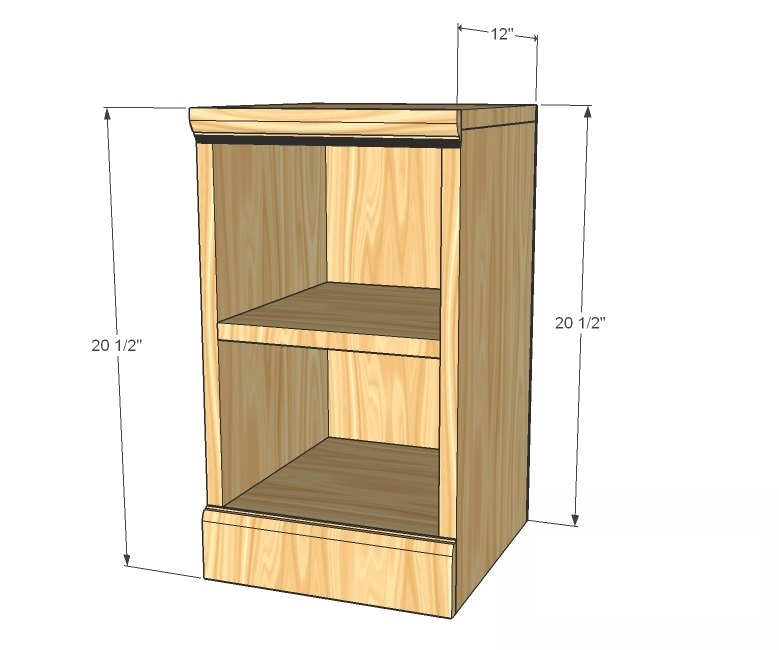 You will need to build two of these. 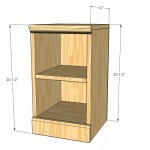 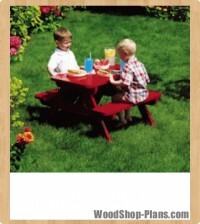 If you are set up and build fairly often, this is an easy afternoon project that you can finish fairly quick. 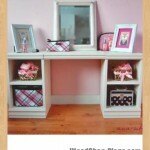 This is a great addition to a young girls room. 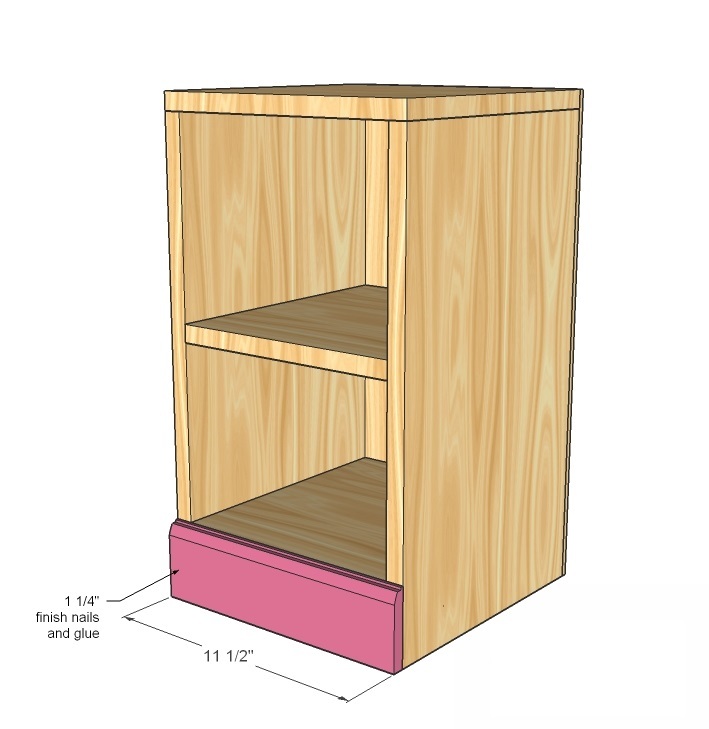 I started by marking the sides where the shelves go on the insides and outsides (so I know where the shelves go and where to screw. 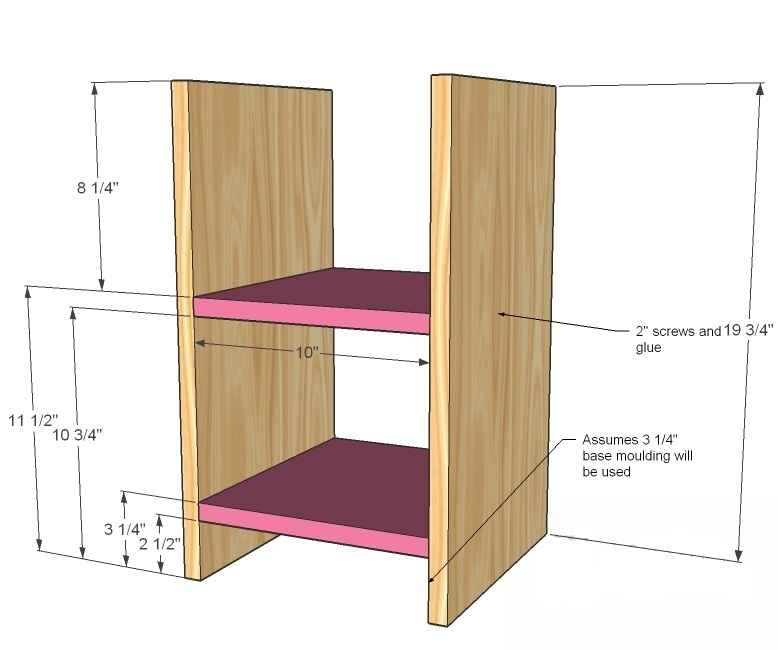 Then I predrilled holes and applied glue to the shelves and screwed it together with 2″ screws. 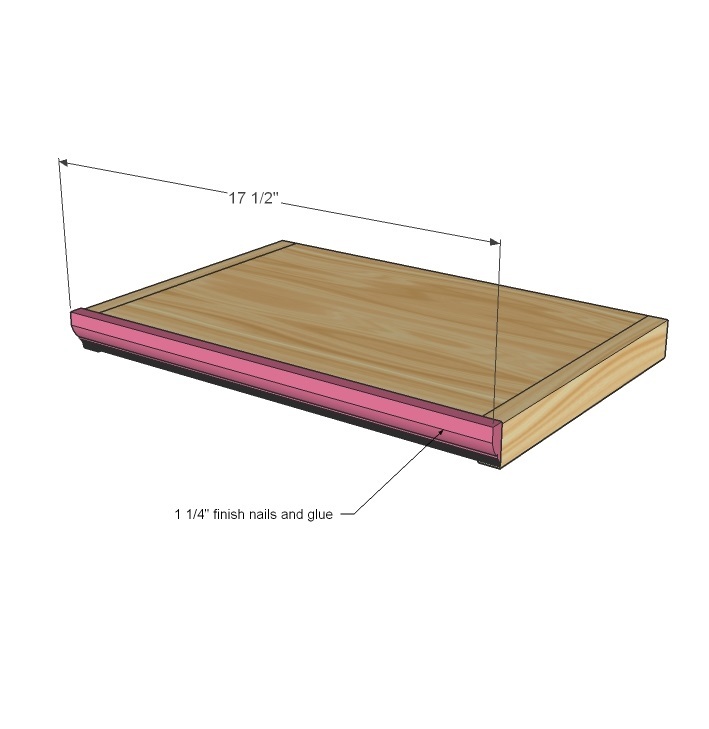 I cut my backs with a 10″ sliding compound miter saw by first cutting one side, then flipping it over and cutting the other. 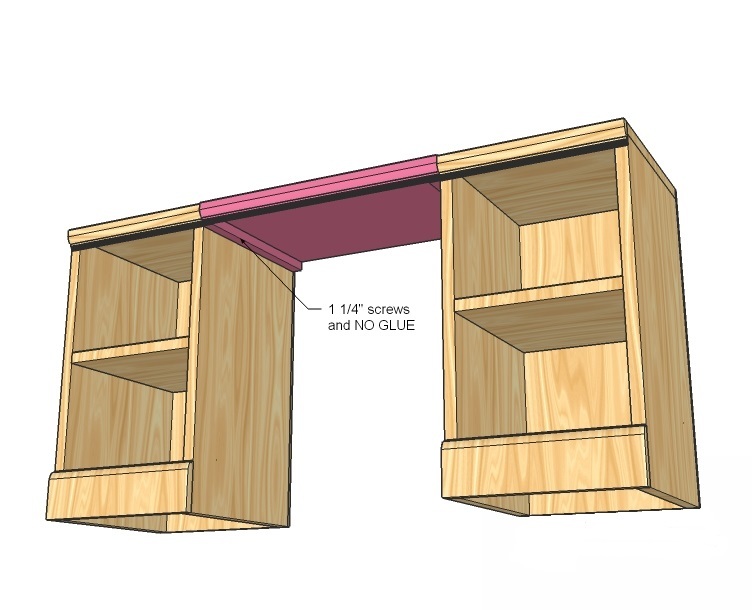 Glue and nail it down. 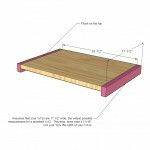 Simply predrill holes and screw the 1x2s to the sides of the 1x12s with 2″ screws and glue. 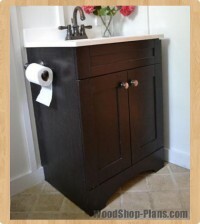 Keep top flush. 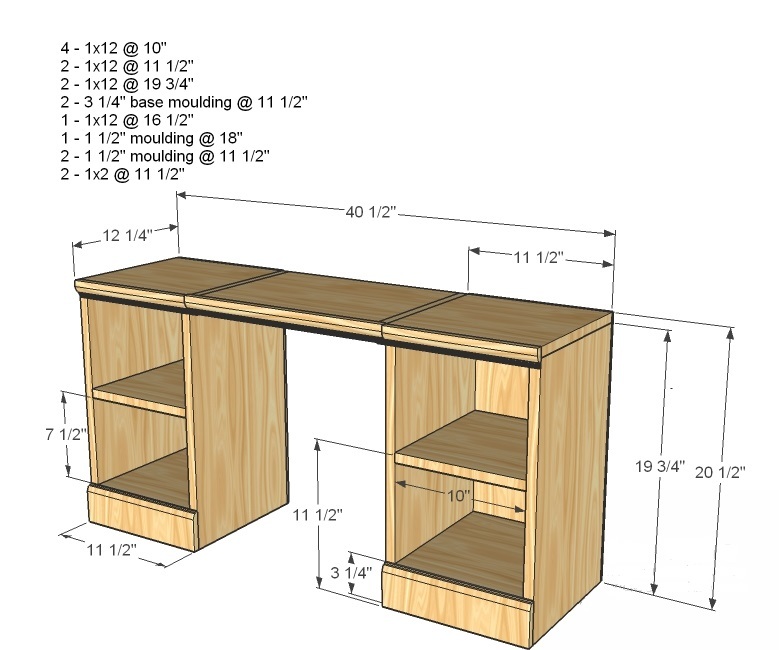 Assembly is easy, but have someone give you a hand. It’s best to predrill holes in the 1x2s first, that way it’ll be easy to start your screws. Or just put it together upside down on the floor.